Mild steel, or Low Carbon Steel is a type of carbon with low amounts of carbon in its chemical composition. This is a very common type of steel with a diverse range of applications. In this article, we are going to evaluate the properties and history of this wonderful steel product. Mild steel is a form of carbon steel with low carbon content. Due to it’s chemical composition, mild steel has a variety of advantages and disadvantages. It is fairly cost effective and highly ductile. 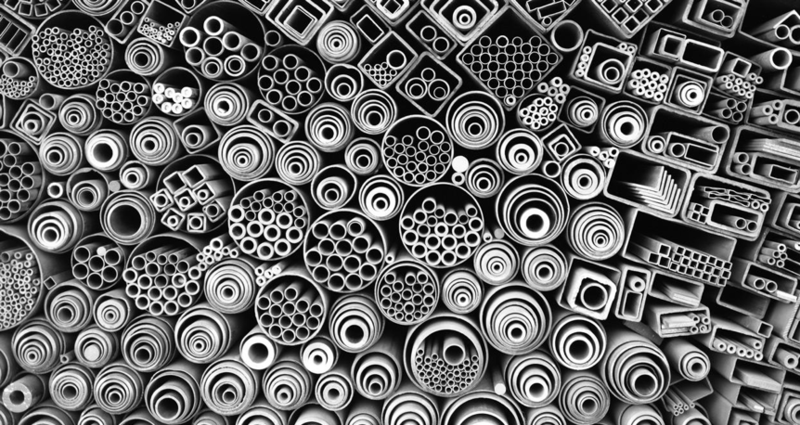 Other forms of carbon steel include Medium Carbon Steel (Carbon range of 0.04% – 0.30%; manganese content ranging from 0.60% to 1.65%) and High Carbon Steel (Often known as ‘carbon tool steel’ has a carbon range between 0.61% and 1.50%). In the 19th century Sir Henry Bessemer invented a process extremely useful to the production of mass steel. The Bessemer process involved using the raw material – pig iron. This high carbon product is then blown through molten iron through oxidation to remove impurities. These impure elements add to the strength of the metal, however they also make the steel more brittle and susceptible to rust. The outcome of the Bessemer process is Mild Steel. Since the adoption of the Bessemer process, newer modern methods have been invented. For example, some steel processes uses Boron to improve the mechanical properties of the product. Although the amount of carbon found in Mild Steel varies, it is typically between 0.05% to 0.25%. Higher carbon steels, in comparison, have a carbon content between 0.3% to 2%. Any more than that amount and the steel would be classified as cast iron. Mild Steel is not an alloy and therefore does not contain large amounts of other elements, with exception to iron. Given that there are very few alloys in this type of steel, there are several properties that Mild Steel has that higher carbon steel does not. Mild Steel is highly sought after for it’s improved ductility, machinability and weldability. The downside of Mild Steel is that is practically impossible to harden and strengthen it using heating and quenching, as you might be able to do with steel containing a high carbon count. However, a process known as carburizing can effectively increase the surface hardness. Carburizing is a heat treatment process that absorbs carbon in the presence of elements like charcoal and carbon monoxide. This product is also generally less likely to have much tensile strength compared to alloy steels and higher carbon steels. This is due to the fact that there are fewer elements to block dislocations in the crystal structure. Unfortunately, Mild Steel is particularly susceptible to rust (oxidation) due to a lack of alloying elements. However, due to the lack of alloying metals, it is also very cost-effective compared to stainless steel for example. Dependable on how formable Mild Steel is, it can be more or less expensive. The more formable the Mild Steel, the higher the cost; the less formable, the lower the cost. It’s affordability; machinability and weldability make it a popular choice for many steel consumers. Mild steel is made in a similar fashion to other type of carbon steel. When bending or weld is needed, Mild Steel is preferred due to its ductility.